If you are starting in golf or are a seasoned golfer, then you know the importance of ensuring that your gear is up to date and well designed. Whether you are buying a bag for your clubs, a washcloth to clean your clubs, or even something as simple as grip tape, then you know that it takes a level of research to ensure that you are picking out the best item. With that said, we want to share our top ten best golf grip tapes as well as the research that has led us to pick out the top ten products. Now, before we begin with product number one, we want to share first why golf grip tapes are crucial to the golf club as well as the individual. You see, if your club does not have a well-designed grip, then your golf practice will suffer greatly. A well-designed grip ensures that you are getting the best results when it comes to the game as well as the best value when holding the club. In fact, we have talked all about golf grips before and some of the best ones to pick from. However, golf grip tapes are a bit different. The reason being is that the grip tape is what goes under the grip to ensure that the grip stays firm and sturdy. The general rule of thumb is to replace your golf grips every six months if you are playing three to four times per week. A golf grip tape is part of the replacing process. A great golf grip tape has to have many different properties that make it a well-designed item, which we will talk about in our Criteria section of our article. With that in mind, let’s move forward and talk about the top ten best golf grip tapes and what individuals can expect from these golf grips. If you are looking to enhance the grip of your clubs, then there is no other brand to better do it with than this one. We are eager to talk about the full kit set of the Wedge Guys Complete Golf Grip Kit, a quality grip kit designed for individuals that want quality and everything needed to start the process today. Here are two unique features of this kit. One of the quality aspects of a grip tape strip is how it is designed. This particular tape strip is designed with a premium double sided adhesive that ensures maximum grip and traction when using the grip. Other than that, one of the best benefits is that it will not bunch up when being installed, which can severely damage the club and cause hours of frustration. 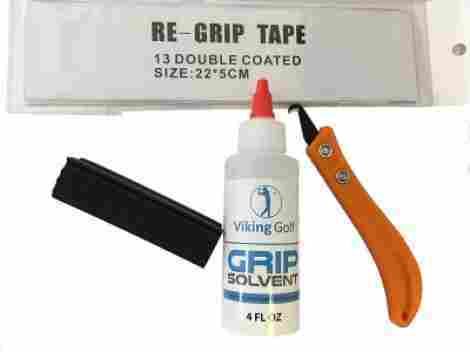 Part of the process of regripping is having a high-quality solvent. With that in mind, this brand includes a high-quality solvent that is non-toxic, non-flammable, and squirts out of a convenient small spout for easy use. Alongside this, the best benefit is that it smells like citrus. As we discuss cost and value for this item, we believe that this is one of the best high-quality brands in the industry for the price. In fact, it has over 1k reviews and it is expertly designed for quality and long-lasting durability. For the fact that it even includes a vise clamp for easy removal, we see it as a valuable asset to any golfer. Deluxe grip kit that is high quality. 10” premium double sided adhesive strips. Rubber vise clamp is easy to use and made of thick durable rubber. Remover has been proven and tested to last well over 100 grips. Easily remove and regrip system. The solvent may differ depending on purchase. One strip may have a defect, which is rare. As the next set of tapes on this list, we want to share a specialty brand that boats some of the best quality products when it comes to golf. This set of grip tapes is well designed and ensures that individuals will have an easy experience when placing their new tapes. Let’s talk about the Brampton Golf Grip Tape Strips and two features of this product. So, what is crepe paper? It happens to be a specialty paper that allows for the product that is double coated to be easily removed to ensure ease and quality when regripping. Alongside this, the solvent-based tape ensures the maximum durability of the product alongside quality and frustration-free finish that ensures individuals will be able to do it in no time. Part of this brand's innovative design qualities is that they are also thinking about the future. The reason being is that they have designed this product with a specialty adhesive that makes it easy for a golfer to remove the tape and replace when needed without leaving excess adhesive or residue behind. Regripping strips are inexpensive as it. Therefore, we can say that this is one of the best and biggest bangs for your buck deals. Although it does not include a regripping tool like the last item, it is designed very well and for the price individuals can expect 15 regrip tapes that are designed for quality use. Pack of 15 is well priced. Convenient strip design that makes it easy to use. Effortless removal process. Easy to use and does not bunch up. Does not include re-grip tool. Not as sticky as the competition. This next grip tape happens to be designed for quality and ensures maximum comfort and easy use during installation. Let’s talk about the Mueller Golfer’s Grip Tape and two unique features of this quality item that individuals can expect today. Designed for quality and as one large roll rather than separate pieces, it happens to be one of the best in the industry. The design of this particular product is one large adhesive roll that individuals can cut at any point. Removing the fear of a strip is too short, an individual can cut it to their specification. With that in mind, the adhesive sticks to itself but not to hair, skin, or other items and does not leave a sticky residue behind when being used. This particular product may be one of the most durable but also beneficial when it comes to regripping. The reason being is that the material is a porous and sturdy material that is also breathable. With that said, one last benefit of this item is that it also is sweat resistant and ensures better quality longevity. As we discuss price for this item, it is important to note that this is one large quality roll, not separate pieces. With that said, the product is only 1 inch by 5 yards, which is smaller than buying fifteen individuals pieces. With that said, to grip all golf clubs an individual may need to buy more than one. Overall, for the price, it is affordable buy may get expensive if you buy a pack of above four at a time compared to buying strips. Elastic and comfortable design that is lightweight. Easy to remove and easy to adjust. Porous and sweat-resistant design that is highly comfortable. Has quality padding to protect from blisters. Shorter than a pack of fifteen strips. This next product happens to be one of the best for individuals that want a quality grip designed for durability and longevity. 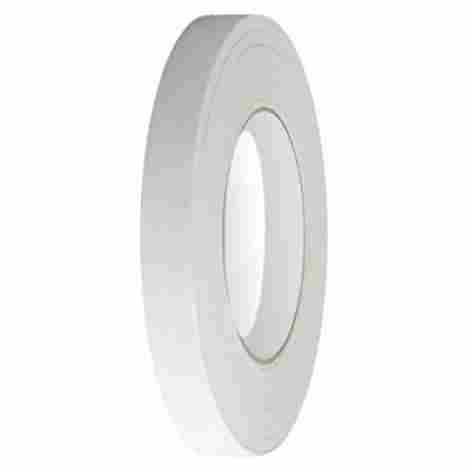 This next grip is very durable and efficient and is known as the industry standard tape. Let’s talk about the Dynacraft Professional Double-Sided Grip Tape and two unique benefits of this specialty product. This product has a double-sided stick design that ensures a better quality feel and better overall durability when golfing. Alongside this, the item is easy to install because of the double-sided stick which is also safe to use for individuals and easy to remove, not leaving any residue. Alongside the strips, an individual can expect included in the packaging of the product a high-quality solvent. The solvent is designed to ensure better durability and long lasting stickiness on the product. Overall, the kit is well designed and ensures great stick on benefits. So, this is considered one of the pricier items on this list as far as a sticky yard roll. However, the 3.5+ star reviews make it worth the consideration. With that in mind, we recommend that individuals take into consideration buying a roll compared to buying strips. Either way, we recommend it for the benefits and overall quality design. 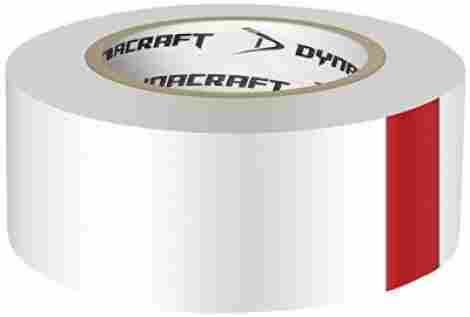 Industry standard tape for installing golf grips. Quality design and better durability. Applied lengthwise on the shaft and activated with a quality solvent. Not as good as other brands. This next complete set is designed to make it easy for individuals to regrip their set from the comfort of their home. Let’s talk about the benefits of the Hireko Dynacraft Complete Golf Grip Set and what individuals can expect from this quality set today. Have you ever been trying to regrip your set just to find that it was nearly impossible because you did not have the right tools? Well, that is the case here! The vinyl shaft clamp of this product makes it easy for an individual to easily and simply protect and secure any type of shaft to make it easy to regrip. This also ensures that no strip will go bad or not stick properly. Other items that are included in this quality set included a non-toxic and non-flammable grip solvent which is low on odor. It comes in a four-ounce bottle designed with a pump spray that makes it easier to be able and apply the solvent to the grip. Alongside this, there are thirteen strips included which are 2” by 10” and are double-sided solvent-activated with a premium feel for a masterful finish. As we discuss cost and value we can say that this happens to be one of the best-designed kits in the industry for the overall value. The fact that it comes with everything you will need to regrip today makes it a great purchase. Alongside this, the clamp is one of the best benefits, making it easy for an individual to easily adjust and edit the work. Quality kit with everything included. Double sided activated strips with solvent. Solvent comes in a handy spray bottle. May be tricky at first to use the clamp. This next product happens to be one of the best in the industry because of the overall quality of the brand and the solvent of the grip tape kit. Let’s talk about the professional quality complete regripping kit from Viking Golf. Here are two unique features of this item. What makes this brand one of the best is their dedication to quality and simplicity. This kit includes 13 double coated strips that are designed for quality and ensured to last the test of time. Alongside this, the grip is very durable and sticks really well to the surface of the club as well as each other. One of the many benefits of this quality product is that it comes with instructions. Yes, an individual can easily achieve their desired result when removing the previous tape and adding the new one thanks to the easy to understand and easy to read instructions of this product. As we discuss cost and value for this product we believe that it is a quality kit designed to make the process easy. With this item, an individual can easily tape pride in their golf game and become a master at regripping their clubs. With everything included to succeed, we think this is a quality set worth taking into consideration. Included quality durability and craftmanship. Comes with a high quality solvent activator. Removal tool shaft is included. The tape activator may leak if not careful. This next item happens to be the latest and newest edition from this particular brand. 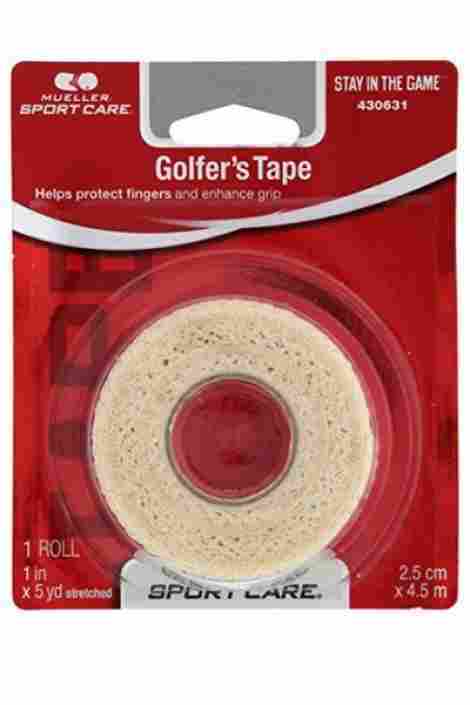 The Club Repair Golf Grip Yard Roll is a new and improved tape that ensures comfort, durability. And quality adhesive benefits on every club. Let’s talk about two features of this product that individuals can expect. This particular tape actually comes with a double adhesive that is supremely sticky. Therefore, individuals should be careful when using it. 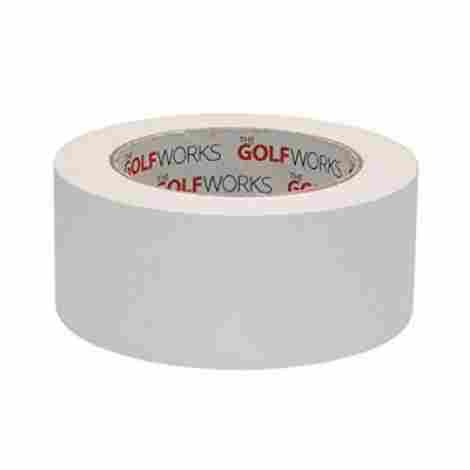 However, we can say that it ensures that your golf clubs will be gripped with a premier quality adhesive and double-sided tape. The new design of this product ensures more durability and better-quality comfort when using any club. Alongside this, individuals should expect the product to last a long time and give golfers an enhanced feeling of comfort and security. As we discuss cost and value for this product, we can say that it is well designed for the price. The fact that it comes in a large roll allows individuals to choose the exact amount that they would like to use, making it easier to regrip items consistently. With that in mind, the overall price as well but it does come with a shipping and handling cost and no regripping tool. New design is very durable. Can be cut to measure. Tough to separate the backing from the tape. We are coming close to the end of our list and we want to share another product that is worth the consideration of our readers. This is the Intertape 591 Premium Double Sided Golf Grip and much like a roll, it is well designed and can be cut to measure. Here are two quality features of this product that individuals can expect today. This product has a double-sided design with a quick release crepe paper liner that makes it easy to remove. With that in mind, the design ensures better grip and durability when using the product. Overall, we can say that the double-sided solvent is very durable and designed to last a long time. This product actually happens to have a thicker tape design than most. Meaning, an individual does not need to go over the tape repeatedly to get good cushioning, which allows for the product to last longer than most. With that in mind, the thicker tape gives a better-cushioned feeling when using the club. As we discuss cost and value for this item, we can say that this happens to be one of the best products in the industry for the design and the overall quality of the tape. In fact, it has close to five-star reviews and it has been touted as having a quality cushioned feel that individuals only use on specialty clubs. With that in mind, the price is well above most on the list but it is because it is considered a specialty grip tape. Specialty grip tape designed for quality. 36 yards and 2 inches wide. Thicker so you use less. Double sided adhesive coating is very durable. Thicker tape with quick release crepe liner. This next product on this list is much like the last, it is specially designed for quality grip and known to be one of the best for specialty clubs. 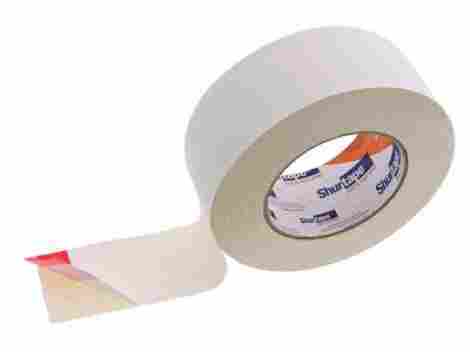 This is the Shurtape 2” Golf Tape and here are two quality features that individuals can expect from this quality item. What can one expect from such a specialty brand? Well, to start the overall quality of this item included a double coated grip that is one of the finest and most well-designed grips in the industry. Although the solvent is not included and needs to be purchased separately, the grip of this item makes it well worth the experience and the durability. The overall quality of this item includes superior adhesion to any surface ranging from titanium to steel and graphite. With that in mind, the superior quality of the adhesive ensures that it will be wrinkle-resistant even on slip on grips. The liner is designed to offer maximum comfort and durability when applying and installing the grip. As we discuss cost and value, we can say that this happens to be one of the most durable products. Now, it is designed for quality, but it does not include a solvent which can bring up the cost of the overall item. With that in mind, if you are wanting a quality double adhesive item, we highly recommend this golf tape for individuals that want a seamless and effortless experience. Durable and long lasting.Easy to install. Wrinkle free for easy adhesion. This next item, the last one on the list, happens to be one of the best quality grips in the industry for individuals that want quality and reassurance in one simple packaged design. This grip has a double-sided durability that ensures maximum stick. 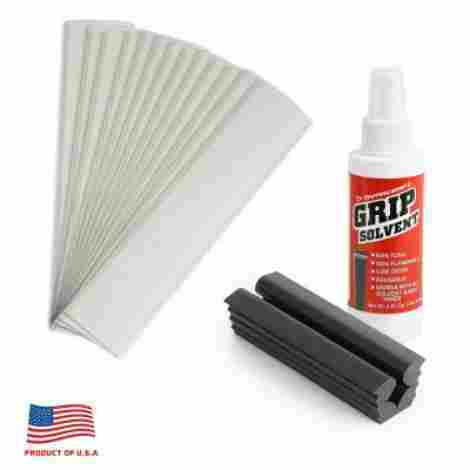 This particular item is specially designed for slip-on rubber, synthetic, or leather grips and makes it easy for individuals to use it and not get any wrinkle effects when applying the grip. With that said, it is very durable and will last a long time. Part of what makes this item as durable as it is is the stickiness. Overall, the product has a quality stick and is activated by the solvent that is high quality. For the fact that it is a 48mm by 18yd roll we can say that it makes it easy to cut to any specific size. With that in mind, this is a benefit that makes it well worth it. 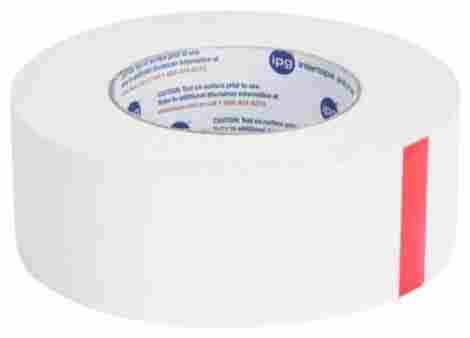 As we discuss cost and value for this product, we can say that it is worth the price for the fact that it comes in a roll that can be easily cut. There are no specific differences between this product and many others as far as the description. With that said, it does not have any reviews online but it is designed for quality overall. Industry standard tape for installing slip-on rubber and other grips. Now that we have shared our top ten best golf grip tapes, which one is your ideal one? There are many different benefits of going with each particular brand. However, the primary concern of most individuals is whether or not it will stick on properly. Our primary concern is to ensure that we select the best items. With that said, we do this primarily be coming up with a specific set of criteria, which we share below. Therefore, why not move onto our criteria portion so individuals can get to know a bit about our specific process and what entails part of our research in selecting the best products. As our criteria to select the best golf grip tapes, there were many different important factors that we took into consideration to ensure that we selected the best products. Now, part of our criteria entails research, the other part entails reading reviews, and the last part entails comparing each brand to one another to weed out the good from the bad. As one will see below, there are many different elements that we consider part of the criteria, so why not start with criteria number one? Let’s talk about the quality of the product. As the first criteria that we take into consideration, the overall quality of the product is crucial to ensuring that the item is well designed and produces the results that individuals are looking for. To ensure the quality we tend to look at many different factors, which are detailed below. These factors create the overall quality of the brand as well as the item. With that in mind, let’s move onto factor number one, one of the most important criteria. The material composition of the grip tape is one important aspect that we investigated when selecting our top ten products. The reason being is that the overall material will be able to really tell a lot about the product as well as the design and how well it will work. When it comes to tape, we can ensure that all of the ones that we have selected have a specifically designed double-stick feature and material composition to ensure the best results for the individual when they are using the product. As part of the material composition, we found many different benefits from going with these particular brands. For example, many brands tend to use a material that is highly sticky but will not stick to hair, clothing, or skin. With that, another important aspect that we took into consideration when it comes to material quality is that brands use odor-less, non-chemical, and non-flammable solvents and sticky residue on the tape to ensure that the product is safe to use. Which takes us to another crucial criterion that we thought about when it comes to golf grip tapes. What is the solvent of a golf grip tape set? Well, the solvent chemical is a specifically formulated chemical that you place on the tip, before applying the tape to ensure that the grip will stick on properly. 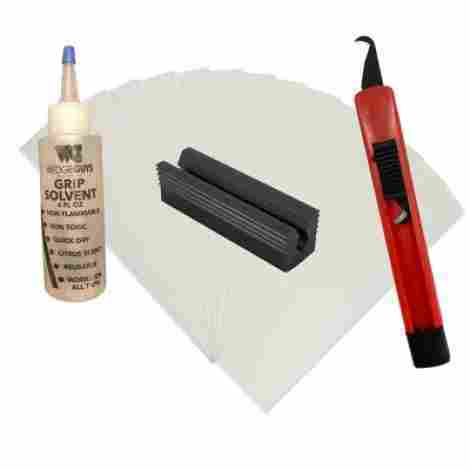 With that in mind, the solvent is one of the most crucial factors when it comes to grip tape. We took different brands and compared them and found that the chemical solution for most solvents is the same. We are unaware of the specific chemical compound but all brands tout that their solution is hazard-free, non-flammable, and odor-free. Now, there will be unique specialty brands that will even include a solvent that is actually citrus-scented, which is somewhat of an extra perk. Side Note – It is important to note that not all of the brands above come with the solvent. We have shared a couple of brands where the solvent had to be bought separately. As a last note to this criteria, one important factor that we considered is the size, amount, and the design of the bottle. Some brands will go as far as including a small spray bottle as part of the purchase to make it easy for individuals to be able and apply the solvent. Now, let’s move towards another criterion that blends the material composition of the tape as well as the solvent. Nothing is worse then getting ready to apply the solvent and the grip tape to have it all fall apart, stick together, and not work properly. Therefore, the next criteria that we took into consideration are part of ensuring that the application process was seamless and easy. This is where certain brands including a special bonus as part of the purchase. Special Bonus Alert – This was not part of our main criteria, but we found that many different brands will include a special bonus as part of the purchase to make the application process much easier. The special bonus tends to be a specific regripping tool that has a sharp edge to be able and cut into the grip and pull it apart. With that in mind, only specific brands tend to add this as part of the purchase. Now, when it comes to the application process, we wanted to make sure that it was easy. This means that applying the tape as well as the solvent was a seamless process. What is even more important is applying the grip. Since slip-on grips tend to have the most concern, because individuals are worried that the tape will wrinkle and be ruined, one of the most important factors that we considered was ensuring that the tape stayed put and secure when applying the grip. Since we cannot test every single product, the next criteria were detrimental to our research. As the last criteria, we found to be detrimental to our research, we found that reviews from consumers came in handy. The reason being is that it allowed us an entryway into understanding how well the products were. With that in mind, we can say that all of the brands above are designed to offer many different levels of value and grip. There are specific grip tapes for specialty clubs as well as grip tapes for more novice clubs. 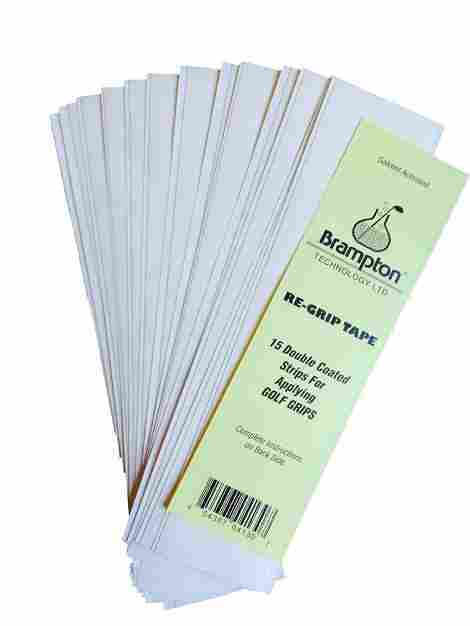 Now, one important factor is that consumers have to primary choices to choose from pre-cut strips or a roll of tape. With that, this is all preference to the individual. Precut strips aid in making the process a bit easier. However, the precut size may be underestimated and all of a sudden you do not have enough to regrip the whole club. While a roll of tape can be adjusted and cut at any point. However, it may not last for all fifteen clubs. These are factors and preferences that are up to each individual consumer. However, we can say that we have selected a well-designed variety of products. So, we have talked about our top ten products, our criteria, now we want to answer a couple of your most frequently asked questions. Q: Do I have to remove the old tape? A: As the first primary and most crucial question that individuals are asking, the answer is yes! Always yes! It is crucial to remove the old tape from old golf shafts and grips. The reason being is that the old tape will continue to ruin the new tape and cause a lot of irritation and discomfort for the grip. Other than that, the new tape will not function properly if the old tape is not removed, so always a yes! Q: How do I clean the shaft after removing the tape? A: As the second most frequently asked question, we can say that cleaning a shaft is very important when it comes to removing the tape. Now, to successfully clean the residue from old grip tape, individuals have mentioned using mineral spirits. With mineral spirits, individuals are guaranteed that the residue will come off clean and effortlessly. Q: How long does it take for the glue to dry before being able to play? A: This question normally depends on the solvent itself. However, the most common answer is waiting 2-4 hours before reusing the golf club to ensure that the product is dry and the grip is sturdy. Q: How long are the tape strips? A: So, if you are buying individual tape strips, the most common answer is between 9”-12”. With that said, we highly recommend reading the description from each individual supplier to ensure you are getting enough grip for your golf clubs.